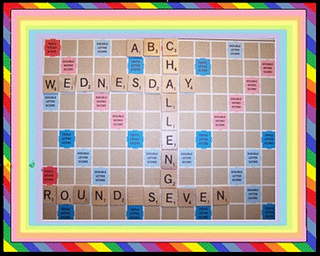 Once again it is time to join in the fun at ABC Wednesday. This weeek G is our focus and continuing with the artist theme, G is for some great artists! Thomas Gainsborough - the 18th century English painter. I still remember doing a paint-by-number of "The Blue Boy" when I was a teenager. It took forever but I did enjoy doing it. Vincent Van Gogh - one of my favourite artists; probably one of the most famous and most reproduced. Who doesn't know his sunflowers or starry night sky? Visit his online gallery. Be sure to check out the other great participants here. It is hard to believe that there is only 1 more week left of summer holidays before school begins on Sept. 7th. I will be back in my classroom this week preparing for the first day back. Added to this I have a new health issue - high blood pressure (which I am now taking medication for). One theme on several blogs that I have visited is the one of doing what you love, but also showing up every day to hone your craft. "The journey is the joy." So, with all that in mind, I am going to step back a bit and focus on the practice of improving my art and getting healthier. Here's wishing everyone a wonderful week, as we come to the end of August and the beginning of September! The hunt for shadows is always fun. You are always looking and you never know where they will be found. This summer I have found them everywhere! Will have lots to share over the months to come! Visiting Montreal last week, I found several around my father-in-law's pool. Be sure to visit the other great shadow-chasers at Hey Harriet! , a fun meme hosted by Tracy. Time once again to share the beauty of flowers - macro style. I had to share the beautiful hibiscus we have blooming in our garden. After a week away I really thought I had missed all the blooms, but there are still many more to come. Be sure to visit the other great participants here. Time again to share reflections - whether in water, mirrors or windows. In Montreal, I was able to capture some reflections in my father-in-law's pool. Driving home, I tried to capture the storm clouds through the side mirror. Be sure to checkout the other great participants here. During the long drive from Montreal on Wednesday, I was able to get so many sky shots. From blue skies to clouds to storm clouds - they were all there! With only a few weeks left until school, we are taking a much needed holiday for a couple of weeks. We haven't finalized all our plans, we just know we are getting away! There will be little computer access, if any. I'll miss all the memes and all the wonderful folk who visit and who I visit. I'll see you in a couple of weeks, refreshed I hope. This week I was finally put on pills to lower my blood pressure. When I went in to see about it, it was 160/100. So I must continue to take care of myself. This holiday will help. So everyone - take care and enjoy the rest of the summer! 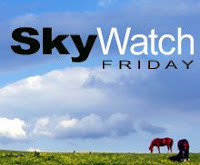 Time once again to share your skies for Skywatch Friday. There has been so much variety around here lately - so much more exciting to see clouds and storms! It is that time of the week when Jamie Ridler asks a question that always resonates! Where Do You Wish to Send Some Love? This week I read an article on the Dalai Lama who will be coming to Canada this fall. It struck me that his philosophy can simply be stated as "love your neighbour as yourself" . "I believe that at every level of soeciety - familial, tribal, national and international - the key to a happier and more successful world is the growth of compassion." So my wish is to send love to all corners of the world, so that love and compassion can fill every heart and reach every person, so that we can come together in peace. Yes, a utopian dream but one so needed in this world of war, disease and upheaval.
" You can be a maker of magic and a tender of wishes. It’s easy. Answer the wish prompt above on your blog . Support wishes by visiting other participants. It’s that simple. There is great power in wishing together." Visit the other wonderful wishcasters here. This is my Mom's birthday. For August Break I had this post but it got deleted - I am adding it so it does not get lost! August 11th and 12th - Days 11 and 12 of the August Break (Both days are being combined) Who I am and Who I love are so intertwined and they all come back to my Mom. August 11th would have been her 81st birthday. My Mother was and is my role model - she is the inspiration for the woman and mother I have become. So, I am a daughter and a mother. 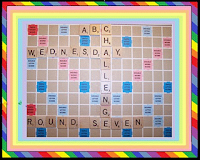 This week we turn to D for ABC Wednesday - that fun meme that looks at a new letter each week. As I continue with my art theme for this round, drawing is the big draw for me. I have not had formal training in the arts, but have taken many courses. Drawing is the most basic and at times the most challenging! I have had fun with the drawing classes - one of the easiest is the contour drawing and the blind contour. Using your hand as your subject, follow the contours., either checking or not (for blind contour.) Your hand is a good subject to practice seeing and drawing. The old adage "Practice makes perfect" certainly applies to drawing! Most of the great artists did drawings of their works and they are quite a record ow their work. Da Vinci's drawings show his attention to detail and mastery of drawing the body. Here is an interesting overview of drawing from Wikipedia. to my favourite - DEGAS -the French Impressionist. Be sure to check out the other great participants at ABC Wednesday! Lots to learn and lots to see! For both, I knew what I wanted to state, but was unsure how to show it. Then I realized I had a number of t-shirts with Canadian slogans. It works for me! 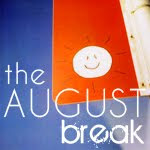 the August Break, which encourages you to take a photo a day. Louise Gale began the Creative Colour Challenge last week and the first colour was "Yellow". I have yet to add to it, but I have bought different shades of yellow paint as I am loving the brightness of the colour yellow! The new colour for this week is Raspberry Red! I also took part in the GPP Challenge for this month: Text Messaging. Since my last post about these 2 challenges, I have completed a second text page. I have enjoyed this challenge and again I will do something with these as backgrounds. I have also been creating more ATCs - the swaps are so varied and fun. Jellicle Cats - from the musical "Cats"
Mystery Challenge - Green, sparkly and Textured! This week I will continue with the challenges and the ATCs - have a wonderful creative week!